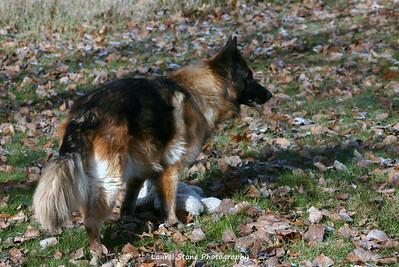 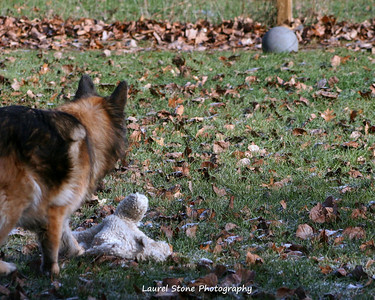 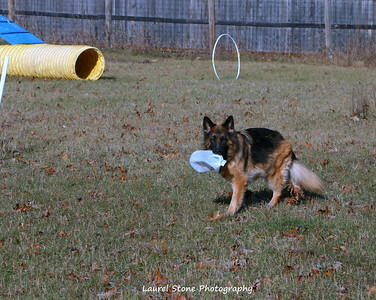 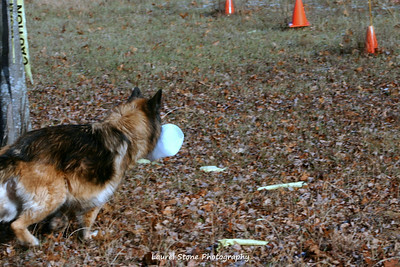 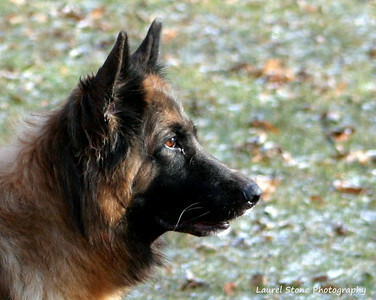 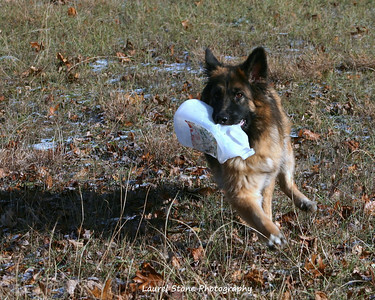 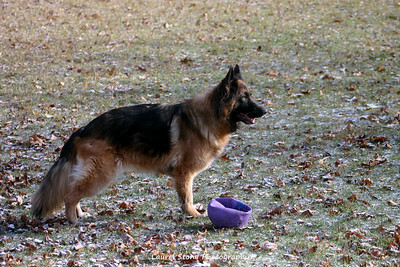 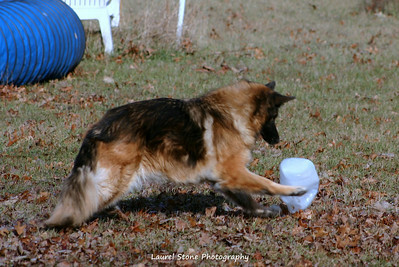 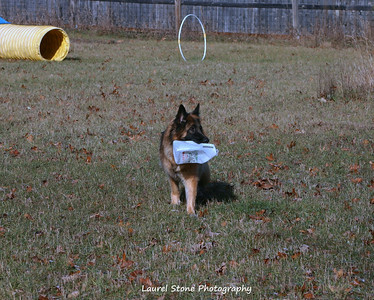 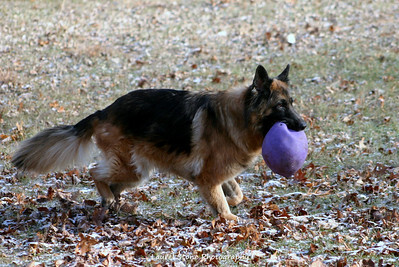 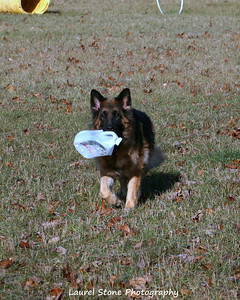 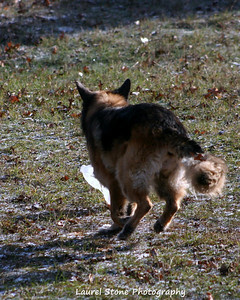 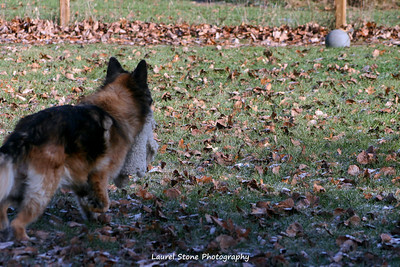 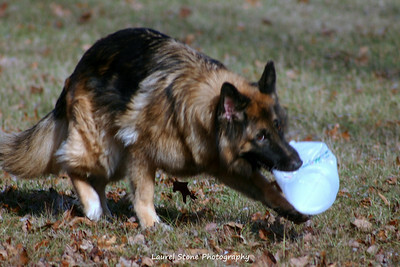 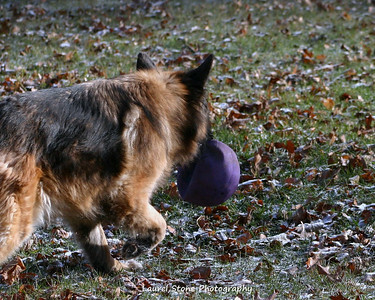 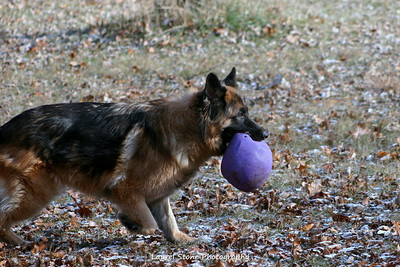 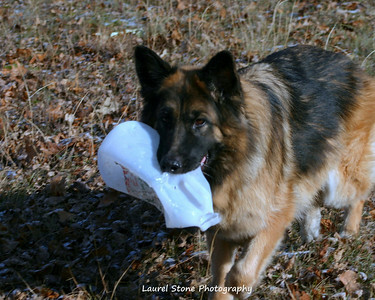 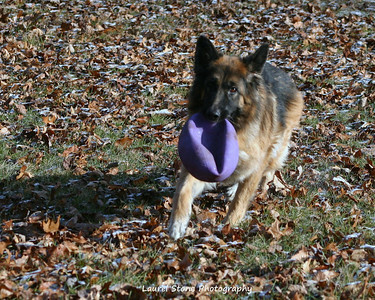 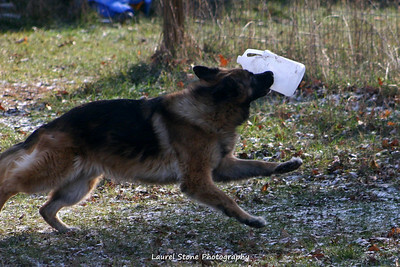 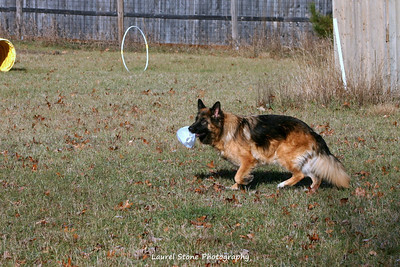 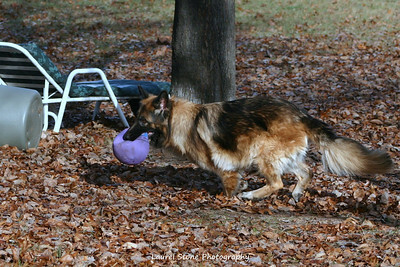 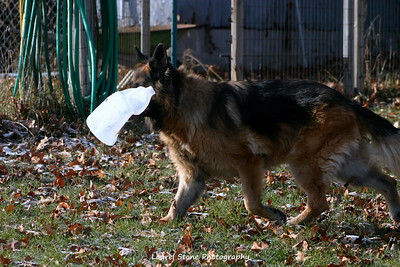 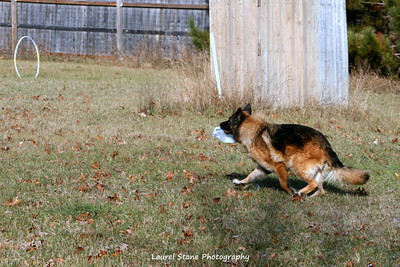 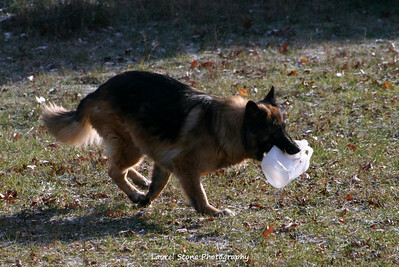 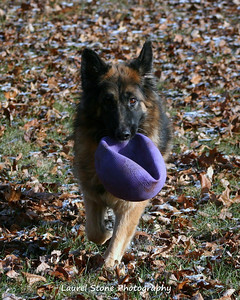 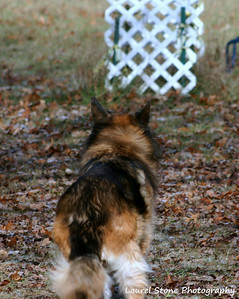 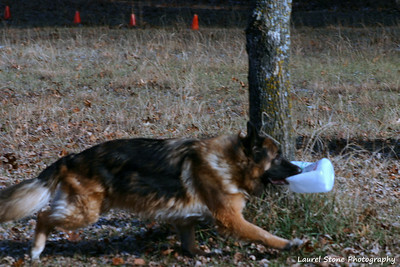 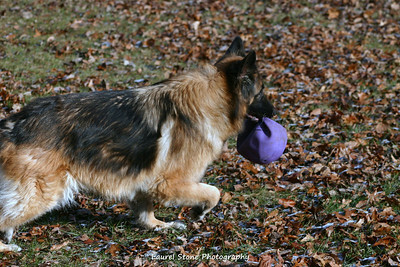 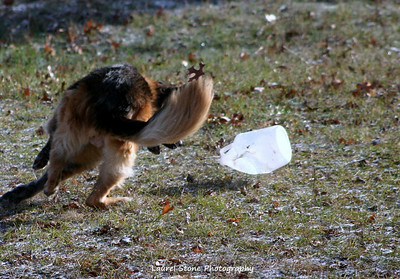 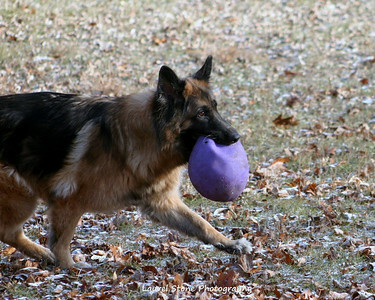 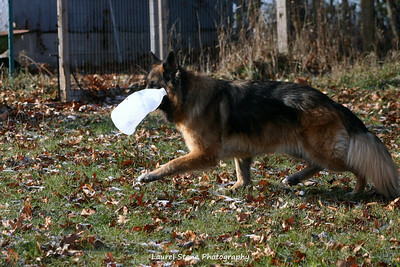 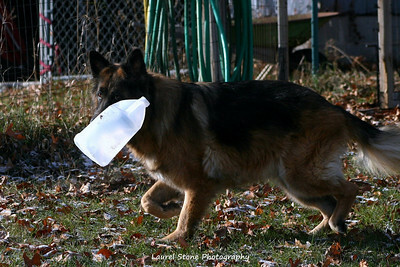 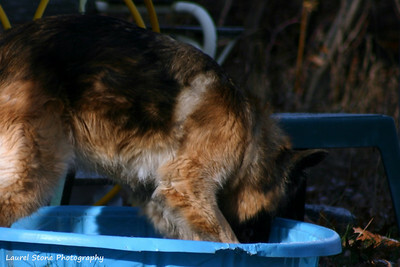 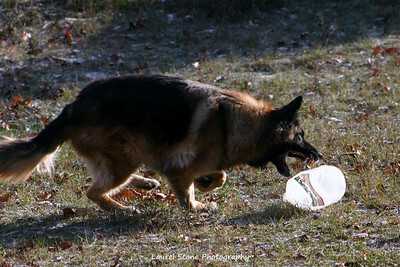 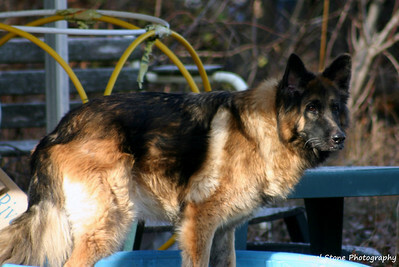 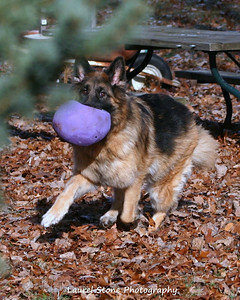 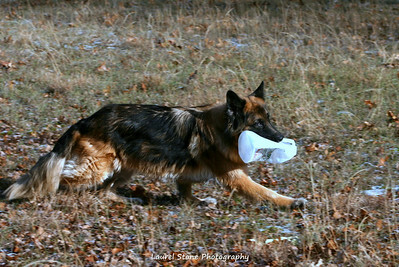 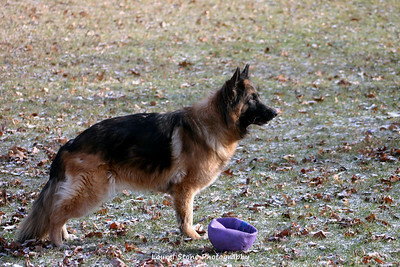 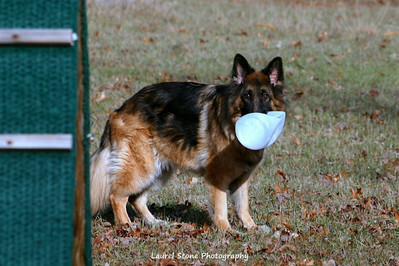 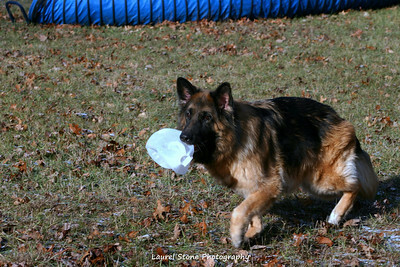 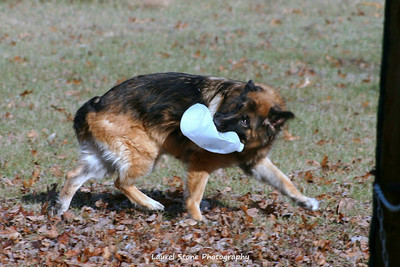 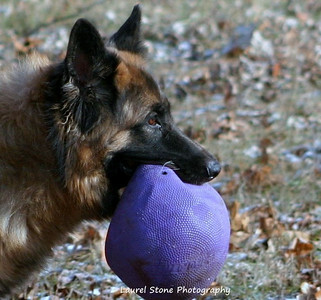 I took Tori out to run one day and a torn ball caught her attention but the most exciting thing was the milk jug! 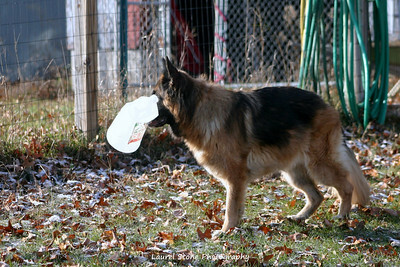 It turned out not to be a milk jug but to be a vinegar container. 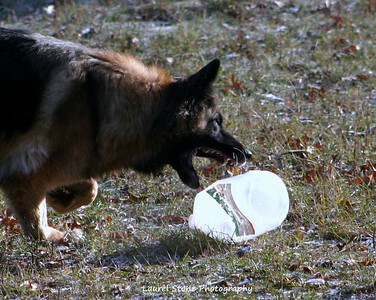 These photos and that container were the impetus to write the letter that generated money for her medical issues and it probably saved her life.